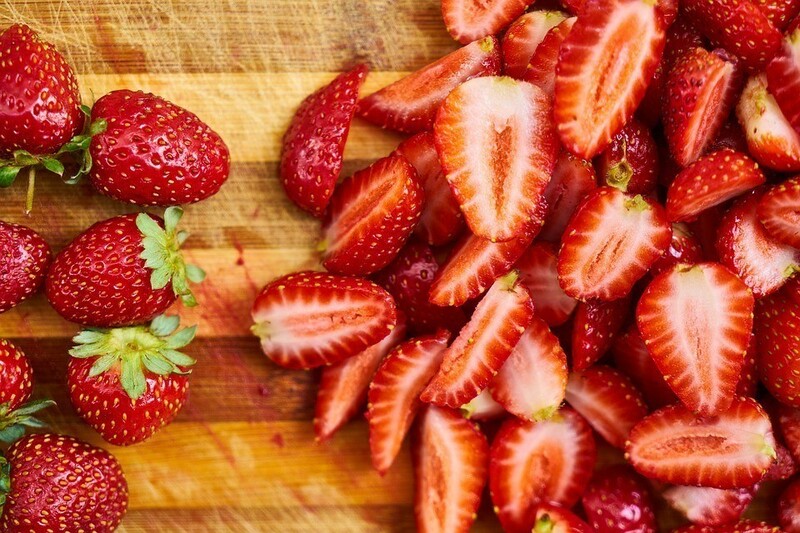 Are Strawberries Good for Your Blood Glucose Levels? When most people think of strawberries, they think of summer, picnics and something delicious. Strawberries have a heart shape and red color, and due to this fact, they were the symbol of the goddess of love – Venus. Moreover, the Romans used strawberries as a remedy for depression and kidney stones. But, regardless of that sweet, red and ripe, strawberries are a great delight. And are they safe for your blood glucose levels? There are fruits which are high in carbs. Such fruits can lead to high blood glucose levels in people who have diabetes. There is a way to find out whether the fruits you consume are suitable for your blood glucose levels. The best way is to check check your blood glucose levels after eating. However, if you are a strawberry lover, don’t panic, they are OK for your blood glucose levels. As a matter of fact, they come with many health benefits. Read on to find out more, in that way you will have more reasons to include strawberries in your diet. Strawberries have a GI, i.e., the glycemic index of 40 which is considered low. Half a cup of strawberries contains around 2.5 percent RDA phosphorus, 14 percent RDA manganese, 3 percent RDA potassium. And also 2.5 percent RDA magnesium, 4.5 percent RDA folate and 4 percent copper. 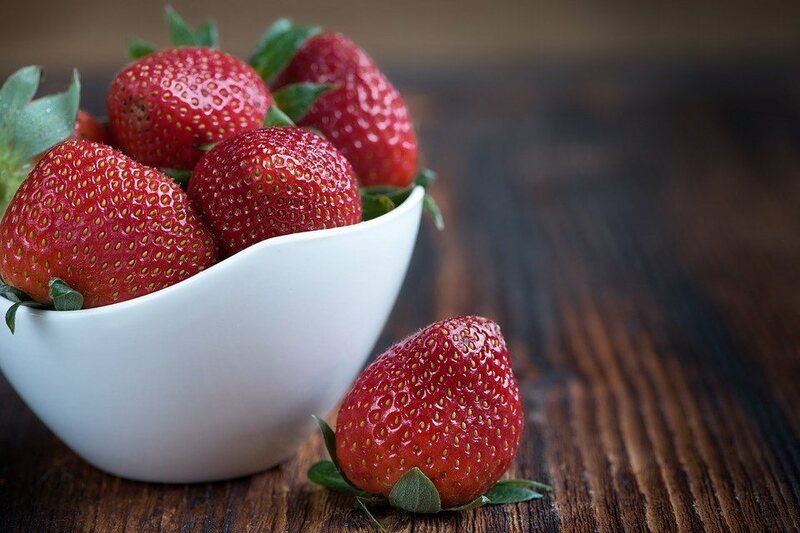 Half a cup of halved strawberries provides 75 percent of the RDA of vitamin C.
Moreover, it contains around 1.5 g of dietary fiber, 24.5 calories, and less than 6 g of total carbs. That is from 4.3 to 4.5 g of net carbs. Strawberries contain dietary fiber which helps promote healthy gut bacteria, promotes satiety and regulates blood glucose. Also, strawberries contain vitamin C which helps the body absorb iron from food sources such as spinach. Also vitamin C boosts the immunity and assists in tissue repair and growth. Strawberries contain anthocyanins. This a a dietary compound which can prevent heart disease and boost the cognitive function. There is more to this compound. Strawberries contain folate, a mineral which can help lower the oxidative stress in people with type 2 diabetes. According to research, this fruit contains an ingredient which is helpful in the treatment of type 2 diabetes. Strawberries have substantial amounts of substances by the name anthocyanins and ellagitannins. These substances might help in the treatment of high blood pressure and hyperglycemia linked with type 2 diabetes. According to research published in the “Journal of Medicinal Food” and the journal “Biofactors,” these substances might help lower your blood glucose levels after you consume a meal rich in starch. Also, they might break down the starches you consume. Moreover, these substances come with antioxidants properties. Replace some of your fruit servings with strawberries, but try to include different fruits in order to have a different nutrient intake. The strawberries make a great addition to any fruit salad. You can add strawberries in your yogurt or oatmeal which you make for breakfast. If you want to have a great and delicious snack, all you need to do is slice a couple of strawberries and consume them with cottage cheese. This is a creative and yet, low-glycemic, high-protein snack. Moreover, in case you want to have a fancy dessert feel free to dip strawberries in dark chocolate. This dessert will surely satisfy your sweet tooth without having a significant impact on your blood glucose levels. If strawberries are your favorite fruit, then you don’t have to worry, cause they are good for you.